Kai, Jaime, Kiana, Jeremy and Neo were crowned Pentathlon champions at the 2018 Canmore Pentathlon on the weekend. 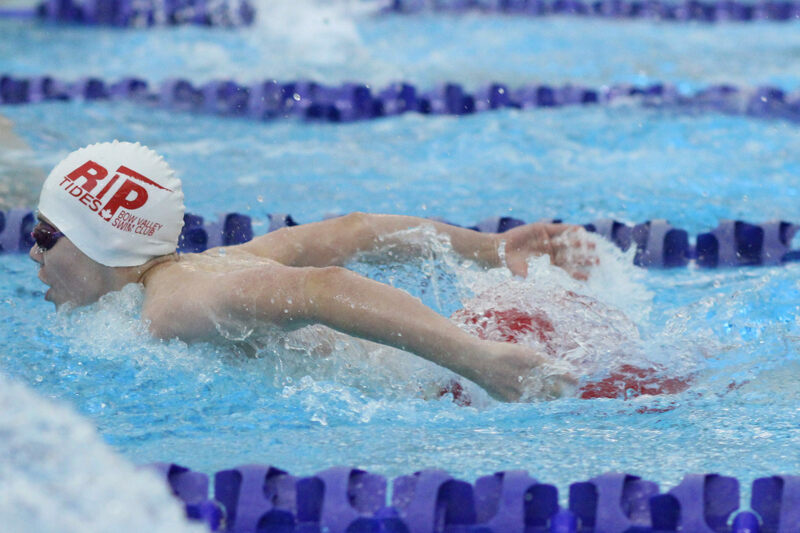 The scoring format adds up swimmers’ times from 5 events, the 100 IM and 50s of each stroke. Swimmers with the fastest combined overall times win the Pentathlon for their age group. Other top 3 finishers in the Pentathlon were: David – 2nd, Carter – 2nd, Avi – 2nd, Kahlen – 3rd and Ani – 3rd. Congrats to Anjah, Cale and Will for achieving the new Festivals standard. 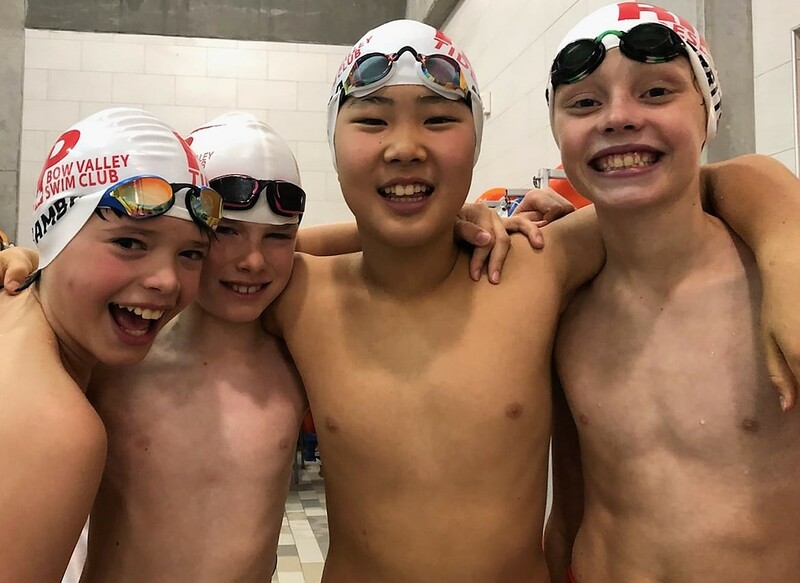 They will join Andrew, Ian and Kai at the Winter Festival South, a new provincial level competition for 11&U boys and 10&U girls, on November 24 and 25 in Cochrane. 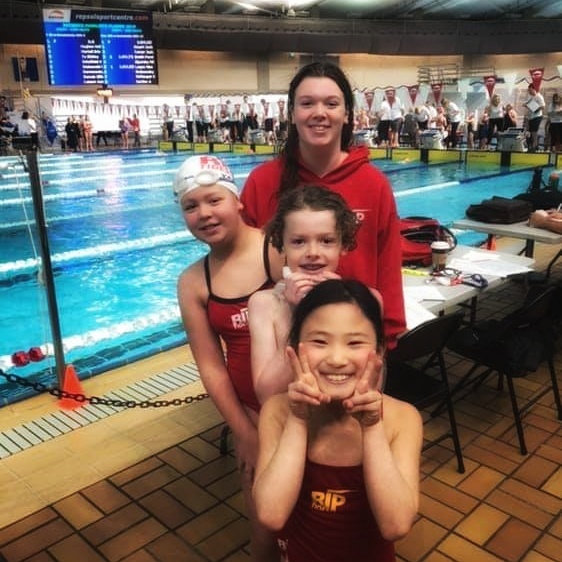 The trio of Joanna, Jaime and Kiana smashed seven club records and brought home seven medals from CSI Calgary, a meet that featured the top age group swimmers in Alberta. Joanna won gold in 800 free, silver in 50 and 100 free, and bronze in 100 back and 200 free and broke 4 club records. 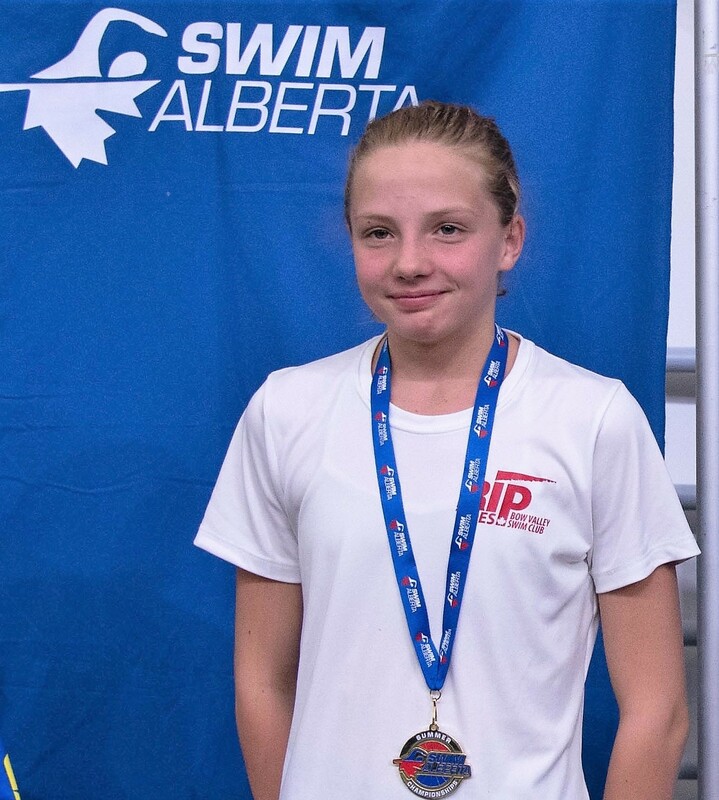 Kiana took bronze in 50 free and 100 back and broke a 13 year old club record in the 400 free. Jaime finished in the top 8 in six races and broke two club records. Jeremy breaks 30 in 50 fly and sets new club record. David, Joanna and Kai medalled at Southern Provincials and Jeremy, Ian and Kai broke long standing club records. 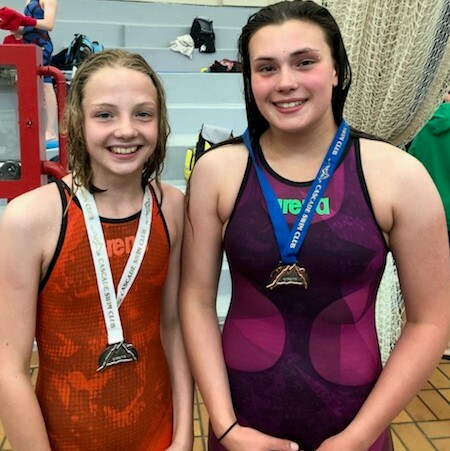 Joanna – silver in 200 back and bronze in 400 free. 7 Championship standards! 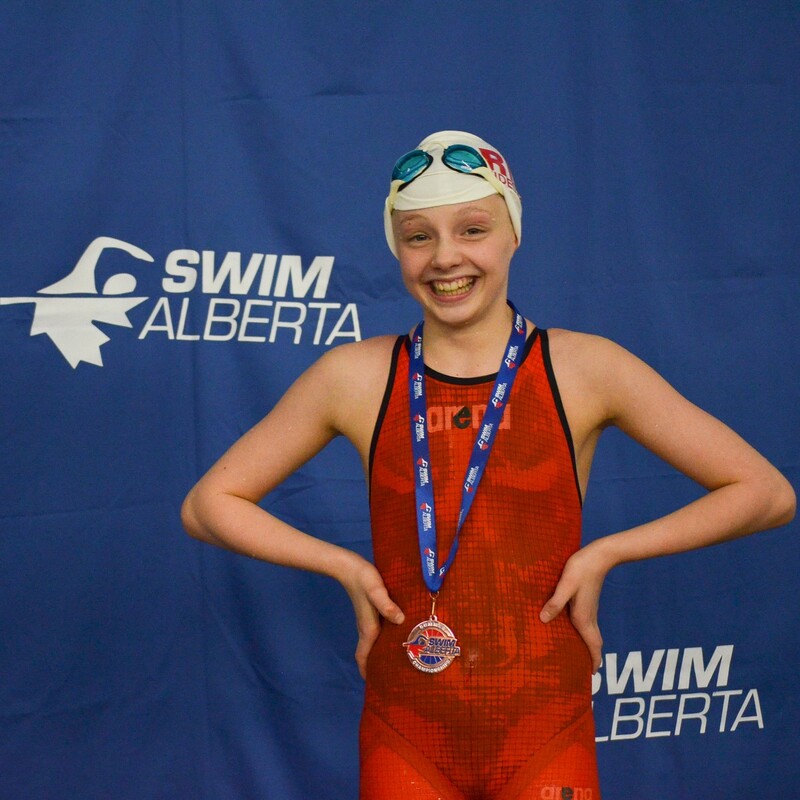 Kai – gold in 50 breast; bronze in 100 and 200 breast. 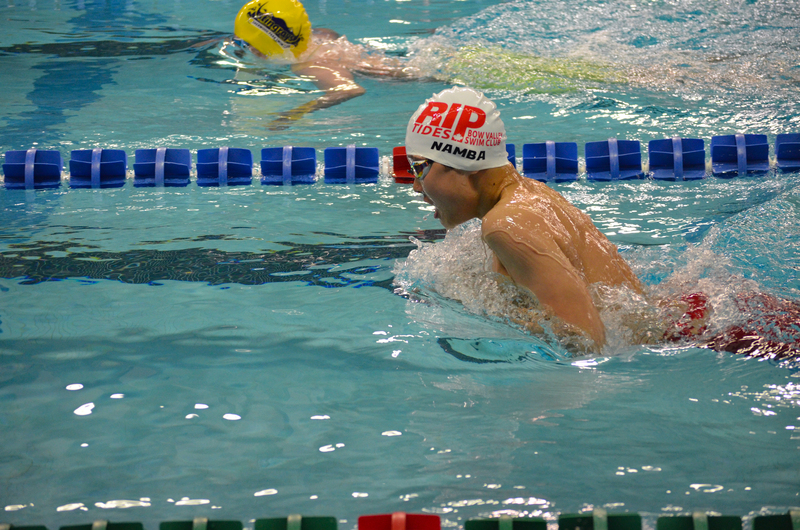 David, Jaime, Jeremy, Joanna, Jaime, Kiana and Neo will represent the Riptides at the Alberta Spring Championships.